Description - COREtec Galaxy Plus is the brand new addition to the COREtec collection product line. Featuring rigid core construction, Galaxy features all the same bells and whistles you love from COREtec products, but made for residential use. The 12mil wear layer is perfect for use throughout the home, and isn't overkill for daily use. Backed by a 30 year residential warranty and a 7 year light commercial warranty, you are sure to love your Galaxy planks for years to come. 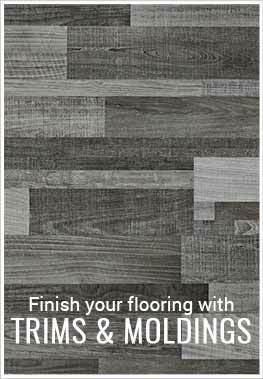 Material – USFloors vinyl flooring is constructed with virgin vinyl, and contains no hazardous metals or chemicals. The rigid core features specialized top and bottom layers for added stability. The core is composed for extra rigidity which provides superior impact and dent resistance. Weight – Each plank weighs ~4.25 Lbs each. Recommended Uses – COREtec Galaxy Plus planks have been successfully installed in many high traffic home spaces, including bedrooms, hallways, basements, family rooms, kitchens, bathrooms, and more. Approved for residential and light commercial use. Holly was great - very happy. My husband and I recently purchased this floor and we're very happy. Thanks for getting us set up, Holly - we loved the mac and cheese reference! This flooring is the bomb.bom!